Winchester Super-X Handgun Ammo for Personal Protection/Target. 45 GAP, 185 GR, Silvertip Hollow Point. Box price, 50 Rounds/Box. 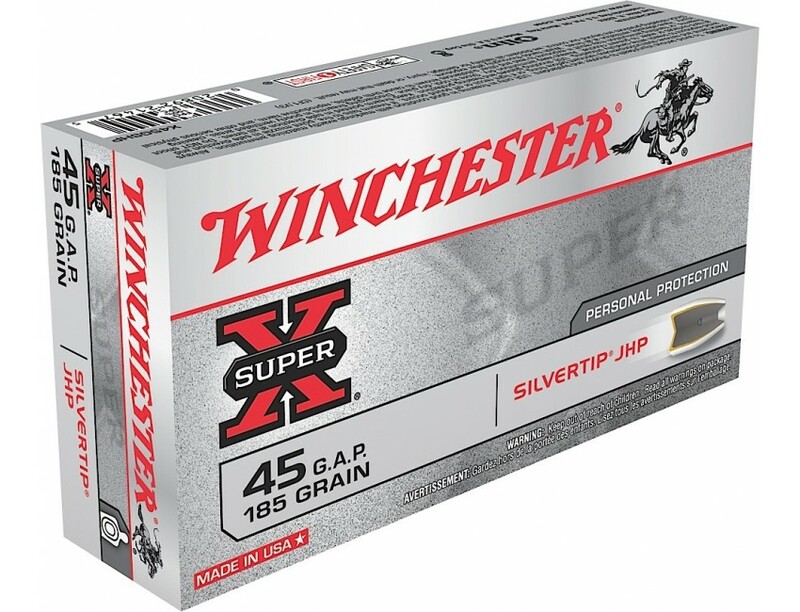 Winchester's Super-X centerfire pistol ammunition offers a unique combination of power, precision, reliable functioning, and on target performance. Delivers optimum penetration and rapid energy release with virtually no weight loss or bullet fragmentation.